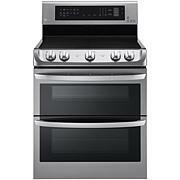 Upper oven capacity: 4.7 cu. ft.
Lower oven capacity: 4.7 cu. ft. 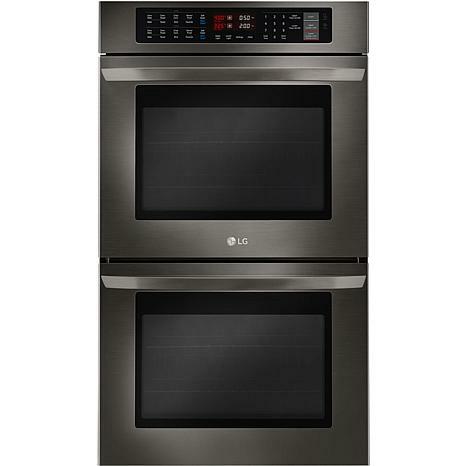 Enjoy twice as many possibilities with LG's 30 In. Double Built-In Wall Oven. Welcome to the future! This double oven is wifi-enabled, which lets you set timers, check cooking status, and preheat- whenever and wherever you are. With 4.7 cu. 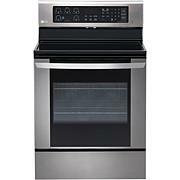 ft. of space in each oven you'll never have to worry about having enough room for family meals to large gatherings. Thanks to SmoothTouch, control over every function will be at your fingertips. Baked to Perfection on Every Rack, Every Time No more getting burned by inconsistent baking. 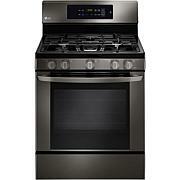 LG True Convection delivers even, precise heat on every rack, every time. Inspired by pro ranges, its the first freestanding range with the heating element moved from the bottom of the oven to the back, so your cookies, cakes, roasts and more are perfectly browned every time.